In the first book of this fun, action-packed fantasy trilogy, a warrior and a thief must come together to stop the forces that threaten their people. Hope's old life ended the night her entire village was massacred by the emperor's forces. Now, trained in secret by a master warrior, her new life is centered on only one goal: vengeance. Red lives by the skin of his teeth and sharpness of his wit. An expert thief and a brilliant con artist, he cares for only one thing: a good time. But when the empire's soldiers start to encroach on his territory, taking down his friends with it, he may have to re-prioritize. Together, they will take down an empire. 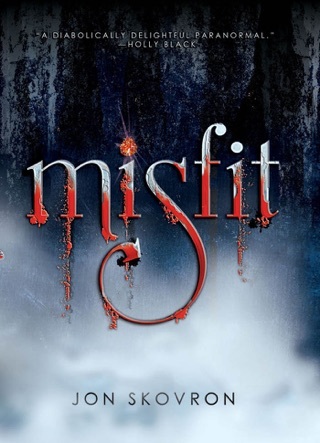 Start reading this daring adventure that Sam Sykes called, "Furious where it needs to be, deceptively tender where it can get away with it, adventurous all around!" 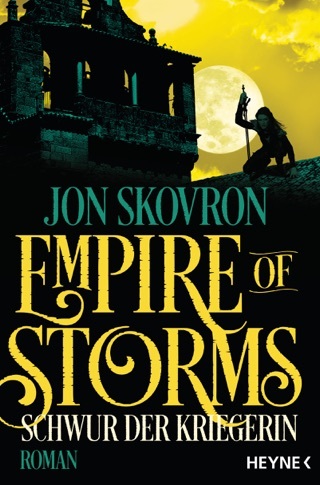 YA author Skovron builds on his strengths in his first book for adults, diving deep into the lives of two, gruesomely orphaned children in an Earthsea-like island realm. The land is ruled by a degenerate imperium whose amoral face is the biomancers part scientist and part sorcerer who operate with utter impunity for ends of their own. Bleak Hope is the sole survivor of a village destroyed by a biomancer. She's raised by the leader of a sect of warrior monks who give her all the skills she will need to wreak vengeance. Red, son of a chemical-addicted artist and a prostitute, hitches his star to Sadie the Goat, who mentors him into becoming the greatest thief in the stews of New Laven. When the adolescents emerge from their apprenticeships, they launch their adult voyages. 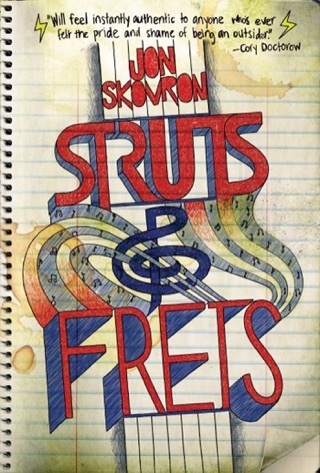 Skovron's eye for characterization and situations is exceptional, raising this from a fun ninja and pirate mash-up to a compelling coming-of-age yarn that genuinely merits a multivolume treatment. 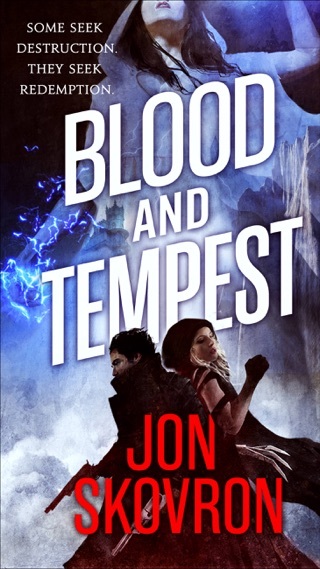 I would like to thank Orbit & NetGalley, for a copy of this e-ARC to review. While I received this ebook for free, that has no impact upon the honesty of my review. Goodreads Teaser: "In a fracturing empire spread across savage seas, two young people from different cultures find common purpose. A nameless girl is the lone survivor when her village is massacred by biomancers, mystical servants of the emperor. Named after her lost village, Bleak Hope is secretly trained by a master Vinchen warrior as an instrument of vengeance. A boy becomes an orphan on the squalid streets of New Lavender and is adopted by one of the most notorious women of the criminal underworld, given the name Red, and trained as a thief and con artist. When a gang lord named Dreadface Drem strikes a bargain with the biomancers to consolidate and rule all the slums of New Laven, the world's of Hope and Red come crashing together, and their unlikely alliance takes them further than either could have dreamed possible." I read the teaser for this book and expected I'd probably enjoy it, but that it'd be mighty similar to several other books I've already read. I was right and wrong. 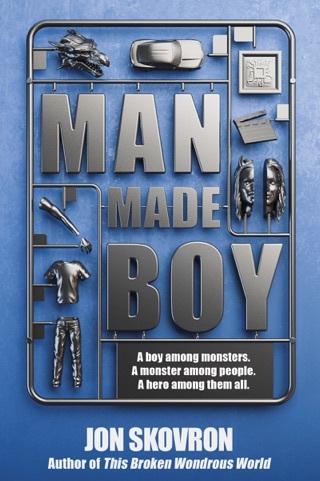 I completely enjoyed this book, more each minute - and while there are always going to be similarities between stories, this one stands apart, unique unto itself. Partly because of the characters and situations, and also simply the author's voice is so very distinct. 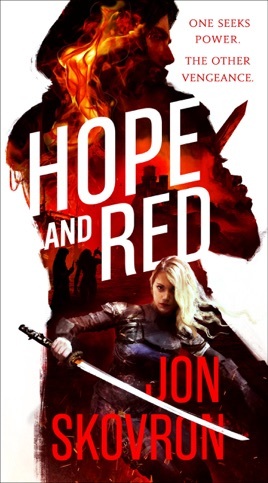 The beginning of the book bounces between Red's story and Hope's. And as they get older life finds a way to have their paths cross. Only they don't complete the cross, for once they meet they end up partnering with each other in their mutual quest for vengeance. And they want more than their pound of flesh for the emperor's biomancers. Each has suffered deep loss of one kind or another thanks to the nefarious biomancers. Hope and Red and an excellent blend of personalities. Between them they are brash, levelheaded, prone to acting without any plan, being methodical in their reasoning for all that they do and how their world view is impacted by all they see, hear, and do. And those are just a few days thing. Other labels can be slapped on them as well: artist, student, leader, follower, romantic, pragmatist, charming, slick, inexperienced, passionate, worldly. . . They are the perfect compliments to one another, even if at least one of them may not yet know it. I also got a real kick out of many supporting characters. Sadie the Goat, Nettles, Captain Carmichael, Filler, and Hurlo the Cunning are just amazing secondary characters, and they are by no means the complete list. Among them is a salty woman with a well-earned reputation, by turns endearing, irascible, and abrasive. An enforcer at a brothel, protecting the whores from the less 'savory' clients. A good man turned from his path by circumstances beyond his control, yet still dependable and decent. A best friend who'll do anything for his best wag. A man of honor whose inner wisdom forces him to defy the very rules his entire life has been guided by . And those are just a few of the charming companions kept by the redoubtable Hope and Red. Each with their own tale to share, for good or ill. Although this story not only has to create the world for us, set the tone, introduce all the players, and then pull it all together to get us started on this adventure, never once did it feel as if the action stopped to allow for all that to happen. Instead it was very smoothly blended into the story, with everything laid out neatly and while keeping pace with the story being told. 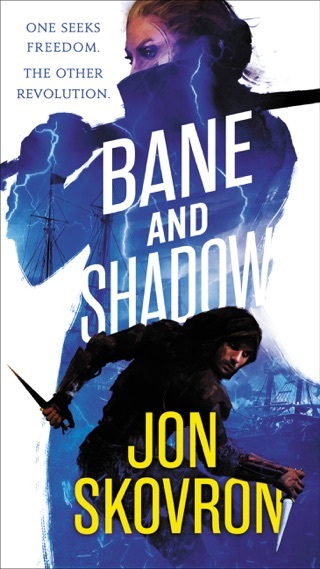 Without a doubt I fully expect this to develop into an incredible trilogy before all is said and done, and if this first book is anything to judge by, it's off to an amazing start! If I could, I'd give it 4.5 stars! !